• Councilofcouncils.ORG is the board page, where reps and host clubs can get information about the upcoming event, hosting a CofC, becoming a council, and keeping your council information up to date with the CofC board. • Councilofcouncils.COM is the host page, where everyone attending can get information on the hotel, meeting schedules, activities, etc. This information is always available on Vanning.com in a permanent, pinned post/topic. 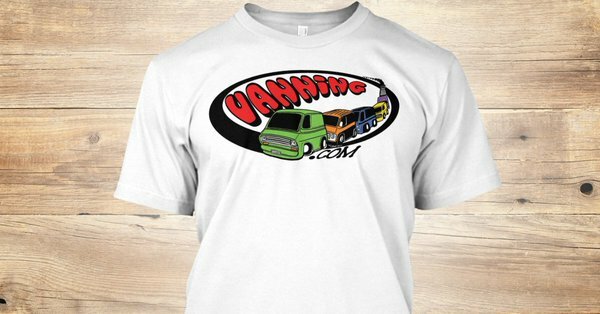 Vanning.com also has links back to the above sites to make them easy to find. All council reps should be looking to these pages for information and updates. You can't rely on just Facebook for your information. Facebook is constantly messing with how page posts appear in your newsfeed, because they think they know what's best for you, and they want us to pay for you to see our updates, so just because it doesn't appear in your feed, doesn't mean it wasn't posted. We need council reps/officers to be proactive and take the information they find on those pages and share it with their councils so that everyone else is informed. Happy Thanksgiving to all of our vanner friends! See you in the Spring! We have some new shirts for sale with custom art by Coop!